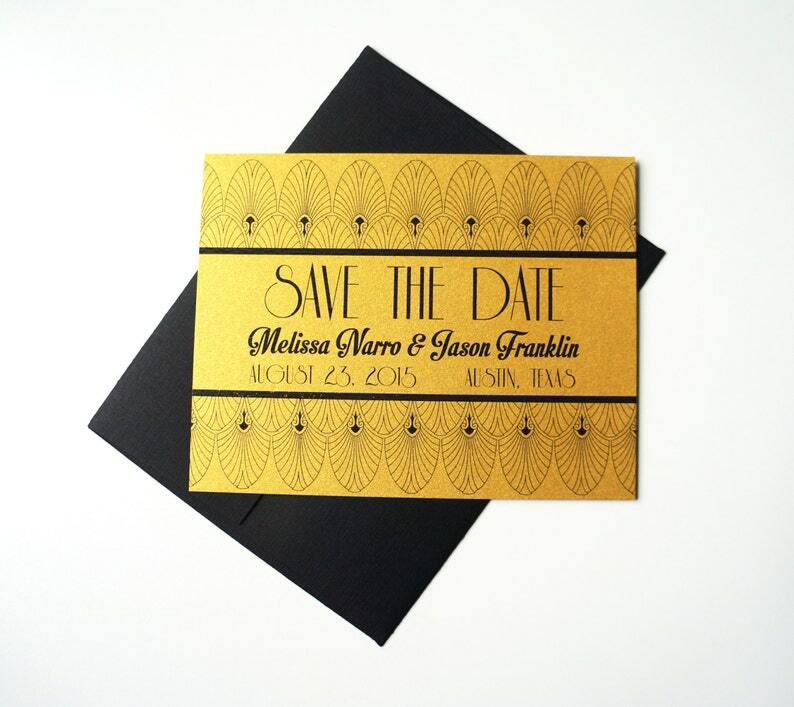 This Art Deco Save the Date card is stunning and beautiful. Oozing with style from the Old Hollywood and Great Gatsby era, this shiny metallic gold card is bound to leave an impression on your guests. These Save the Dates will be custom designed with the name of the soon-to-be couple, date of wedding and location of wedding. More or less information can be added if needed. Card measures 5.25" x 4" and is a single-sided print. It is professionally printed on very thick 111lb metallic gold cover stock and comes with a black linen envelope. Please provide information you would like to include on your Save the Date in the message to seller at checkout. A design proof will be sent via email within 1-2 days after your purchase has been made. Will work out nicely tucked inside the envelope with the party invitations. Not a thick piece of paper so it will not add unnecessary bulk. Thanks!